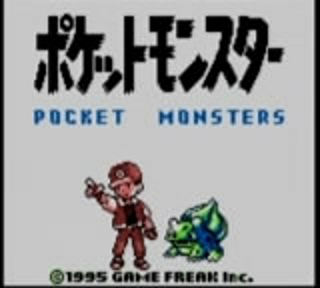 Released in Japan in 1996, Pokemon Green was one of the inital releases to spark the Pokemon craze abroad before it reached American shores. The Green version is roughly equivalent to the American Blue version, but does have several small differences. It is also features the absolute best coding in any game ever. No bugs to exploit here. Not a one. Best time with Uber-Large-skip glitches: Single-segment 0:03 by Paul 'Fishaman P' Fisher on 2014-07-23. First off, I'd like to advertise my YouTube channel (http://youtube.com/user/FishamanP) and my Twitch stream (http://twitch.tv/FishamanP). I play a lot of different games, ranging from Zelda to Mario Kart to Pokémon! This is my speedrun of the Japan-exclusive Pokémon Green in 0:03 by the ingame timer, which is literally unbeatable. Even the hyper-optimized TAS gets 0:03, so expect this run to stand for eternity. This was a very well-executed run with middling luck. At most, one second was lost to execution, owing to small errors in text mashing and a slight hesitation during the trip back to Pallet Town. The route lost 5 seconds but gave the run a vastly higher chance of finishing. First, the run starts before the game even boots up. The ingame timer starts when you appear in your room, as long as you don't have a save file on the cart. If you do, the timer starts earlier, which is undesirable in such a tight time constraint. Therefore, you must delete your save before beginning. I first enter the settings to change the text speed to Fast and to disable the battle animations in the name of speed. After that, I begin my short adventure. Since the ingame timer hasn't started yet, it's faster to name your player and rival one-character names right now to slightly speed up the text later. As a general note on movement, if I have to take a zig-zag path, I try to start moving in my current direction first. Standing turns cost one frame each, but moving turns cost no time. The rival fight kills the vast majority of runs. The fight can range from a godlike 3 turns (quite nearly human-impossible), to an exceptionally rare 4 turns, to an uncommon 5 turns, an okay 6 turns, and finally a bad 7 turns. Anything past 7 turns almost guarantees that 0:03 is impossible, and this is unfortunately quite common with the rival AI's love for Growl. It should also be noted that losing to your rival is slightly faster than winning because the animations and sounds for leveling up and listening to the loser's speech are long. This fight takes an interesting 6 turns. The first 3 turns are as great as anyone could ask for, with three Scratches, one of them a critical hit. Another 6- or 7-damage critical would net an amazing 4-turn fight, and 2 regular Scratches a solid 5 turns. Instead, I get Growl, and then a 5-damage critical hit which leaves me with 1 HP. On top of that, my sure-to-KO Tackle misses, turning an almost certain 5-turn fight into a salty 6-turn bout, despite a total of 5 critical hits. The "large skip glitch" is known as the Dokokashira Door Glitch, which roughly translates to "Where am I?". This glitch is exclusive to the Japanese versions of Green, Red, and Blue, and will not work on any international releases or Japanese Yellow. By starting to swap something in my inventory but backing out before I do so, I can "store" a position swap. Then, in a battle, I can use this stored swap to swap my first and second "Pokémon". The quotes are there because I only have one Pokémon; the second is actually the End Party Data indicator. When this appears in the first party slot, the game ignores it, and proceeds to treat a large chunk of the game's RAM as Pokémon data since it doesn't know where to stop. Now, since a lot of this data looks nothing like valid Pokémon data, it thinks many of my "Pokémon" are poisoned, so every 4 steps the game tries to lower their "HP" by 1. It turns out that one affected location happens to store the value of my next warp. I can abuse this to end up almost anywhere in the game, including eventually the Hall of Fame. tl;dr Swapping item with Pokémon = walk to control warps. Note: Some sources say that the Dokokashira Door Glitch was patched in the v1.1 releases. As this run was done on a v1.1 cart, I can assure you that this is (mostly) false. The grain of truth is that the fast method for swapping was patched in v1.1, wasting around 2 seconds compared to v1.0. More specifically, v1.0 lets you store the swap mid-battle, while v1.1 requires you to store the swap in the field.